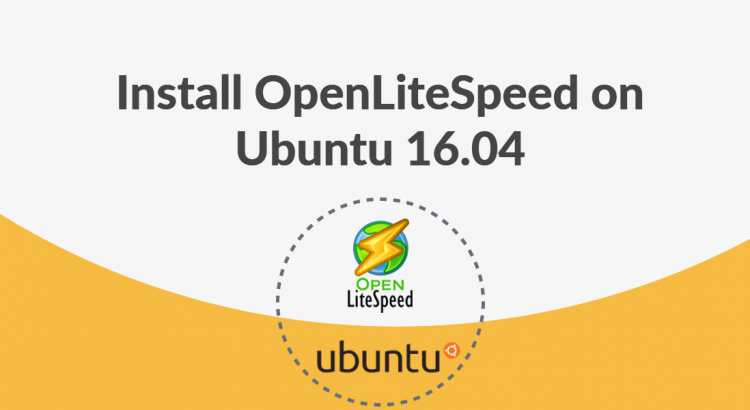 Today we will show you, how to install and configure OpenLiteSpeed on your Ubuntu 16.04 VPS. OpenLiteSpeed is a lightweight, open source HTTP server developed and copyrighted by LiteSpeed Technologies, Inc. It provides a user friendly web interface and supports various operating systems, including Linux, Mac OS, SunOS and FreeBSD. It is fairly easy to install OpenLiteSpeed on an Ubuntu 16.04 VPS. The installation process should take about 10-15 minutes, if you follow the very easy steps described below. Download and extract the latest stable version of OpenLiteSpeed on your server. At the time of this writing, the latest stable version of OpenLiteSpeed is 1.4.26. You will be asked to provide a username for the administrative user. If you just press ENTER, the username “admin” will be selected. Afterwards, you will be asked to select and confirm a new password for the account. OpenLiteSpeed will be available on HTTP port 8080 by default and admin login using port 7080. Open your web browser and navigate to http://1your-domain-name.com:8080, you will see the default OpenLiteSpeed web page. You can also access the administrative interface by navigating to http://your-domain-name.com:7080 on your web browser. You will be asked to enter the administrative username and password. After successful authentication, you will be redirected to the admin area. That is it. The OpenLiteSpeed installation is now complete. Of course you don’t have to do any of this if you use one of our Server Management Services, in which case you can simply ask our expert Linux admins to install OpenLiteSpeed for you. They are available 24×7 and will take care of your request immediately.